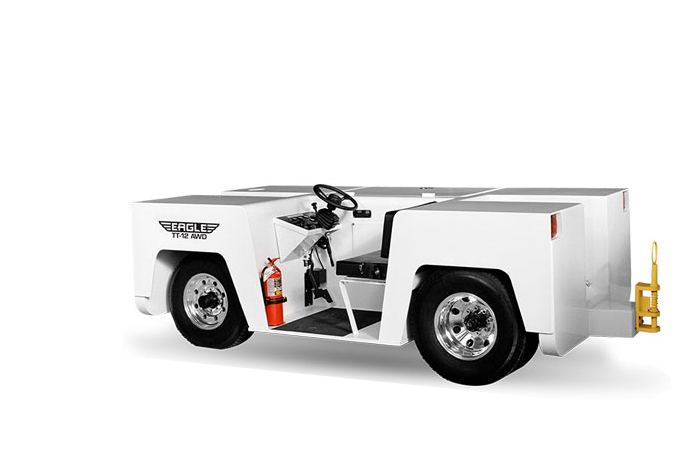 Eagle TT Series Aircraft Tugs are the only All Wheel Drive (AWD), mid-operator airplane tugs in their weight class, providing excellent traction, equal weight distribution, and direct line of sight of the rear and front hitches. With over 25 years of design improvements, the Eagle TT Series Tug is one of the most reliable aircraft towing tractors on the market. Backed by an industry-leading 3-year/3,000-hour warranty when you order the Eagle Series TT-10 and Eagle Series TT-12. Ideal for aircraft such as Falcon 7X & G450.